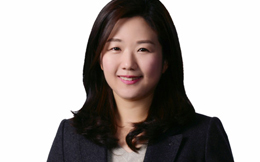 Jeehye (Jennifer) Rho is Senior Vice President in charge of Group Strategy at Amore Pacific Group. Since joining Amore Pacific in 2015, Jeehye has been working on mid-to-long term strategy development covering global expansion strategy, new business development, and corporate-wide digital and retail transformation. Prior to joining Amore Pacific Group, she worked at LG Electronics, Boston Consulting Group, and Accenture developing strategies related to technology innovation and globalization. Jeehye holds an MBA from Harvard Business School, and a MA and BA degrees in International Relations from Seoul National University.